This episode includes a mythological and cosmological tour of the many realms in which we live. This mythic survey includes the discovery of seven new planets in a nearby galaxy, it touches upon the chaos happening in the White House at the center of our American universe, then descendsinto the inner cosmos of the human soul, a place that remains surprisingly equal to everything that exists in the world outside. 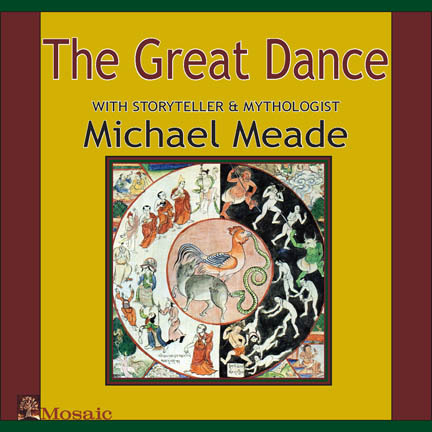 Meade arrives at the idea that each person has a deeper name inscribed in their soul, a name that is connected to the script of the story they came to live, and there is no better time to live out the story inside the soul than this time that is a mixture of cosmic order and chaos, what James Joyce called the “chaosmos”.